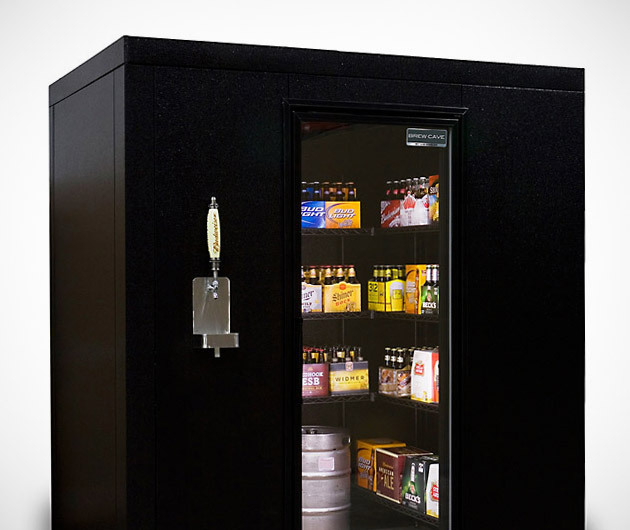 Leave the wine cellar to Donald Trump; your man cave needs a Brew Cave Walk-In Beer Cooler & Kegerator. It's a climate-controlled, walk-in refrigerator with a beer tap hung on the outside for instance access anytime. The front door is clear glass so you can quickly check on your inventory and casually brag to your friends.